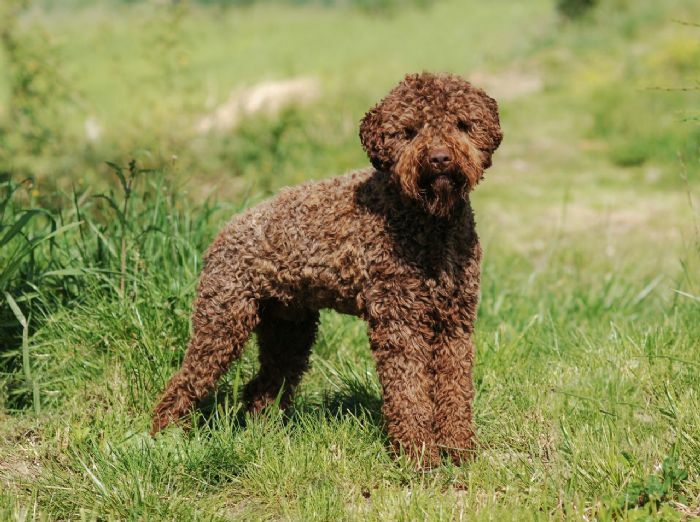 BFJE is a neurological disorder found in the Lagotto Romagnolo breed. It has an autosomal recessive mode of inheritance. Testing is available and widely utilised by breeders to ensure that healthy puppies are produced. Affected dogs suffer from epileptic seizures (body tremors, uncoordinated movement and stiffness) in the age period from 5 to 9 weeks old up until they are four months old, after this time the seizures resolve. Some carriers may also have epileptic signs. Genetic testing identifies which dogs carry the gene, are clear of the gene, or are affected by the gene. Only dogs affected by the gene are unsuitable for use in breeding programs. The use of carriers is quite acceptable if paired with a dog that does not carry the gene. Using carriers within the breed is necessary to maintain our genetic diversity. If we were to eliminate them entirely our gene pool would be diminished and the breed would eventually suffer having lost many great dogs.